Sharpen your spiritual senses. God may be speaking in ways you don't expect. This book is a manifesto for supernatural living, God encounters, and radical prophetic leading. You are standing at the doorway into greater dimensions of the Spirit. Mundane living is not your portion, and watered-down revelation is not your inheritance. You can be effectively led by Holy Spirit. You can know and discern the will of God for your life. You can operate in tremendous miracles and authority. You can receive and walk in more. The supernatural life is for you! 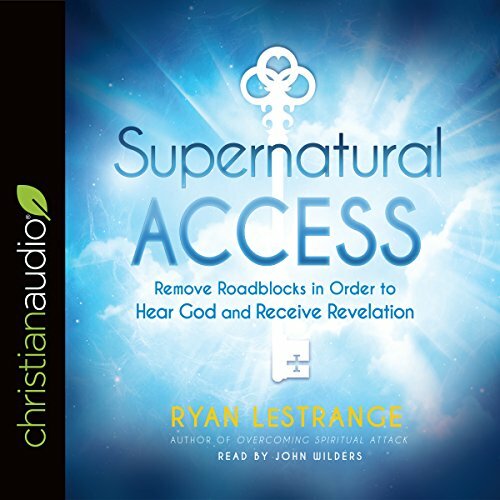 In Supernatural Access prophetic minister Ryan LeStrange teaches you how to really hear God, break off the lies of the enemy, and act on the revelation you receive to demonstrate God's power. We are supernatural people called to manifest the kingdom of God! loved it I almost hated that it was going to end but I am happy because i can listen again starting now. Eye opening and faith stirring! Getting ready to listen again. So encouraging! You won't be disappointed! Amazing full of truth for a time such as this!!! Easy listening. The activations are very helpful and every chapter has prayer! This man has a true sense of the Father Heart of God! Many blessings flow through him and from him! I will listen to this book again. There are so many good nuggets. I believe this should be in everyone's repertoire that want to hear God's voice and tap into the supernatural. Pastor Ryan LeStrange sharea an in depth discussion in the importance of praying in the spirit. If you want greater intimacy, desires to hear the best and voice of God....GET THIS BOOK!! I loved this and can see myself listening over and over. You won’t regret this purchase. This is what you have been waiting for. If you have an interest in the Supernatural, then this book is for you. He does an excellent job of explaining the Biblical teaching of the Supernatural. It is for every believer and it is alive and well today. Read and believe. Great book! This book has helped me greatly! Also, the narrator was easy to listen and follow.